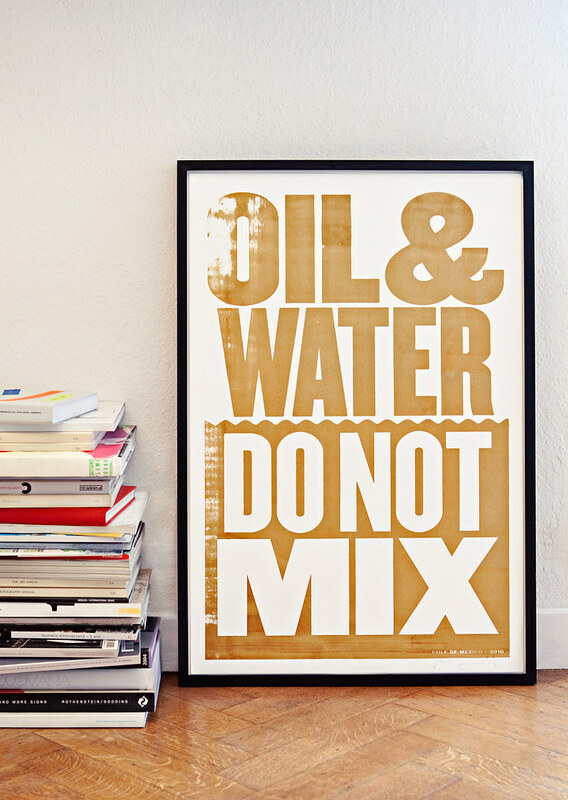 Anthony Burrill has made a new series of limited-edition posters, printed in BP oil from the ecological disaster in the Gulf of Mexico. Profits go to the ‘Coalition to Restore Coastal Louisiana’. 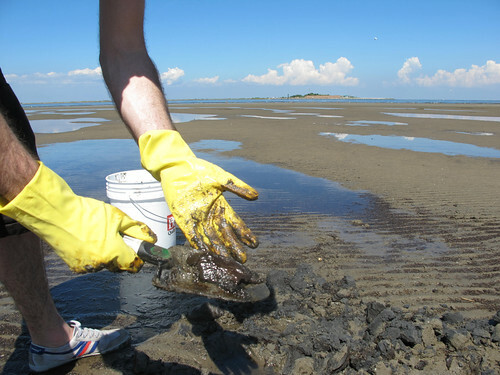 The oil was collected direct from the polluted beaches of Grand Isle, Louisiana. … and signed by Burrill (below). 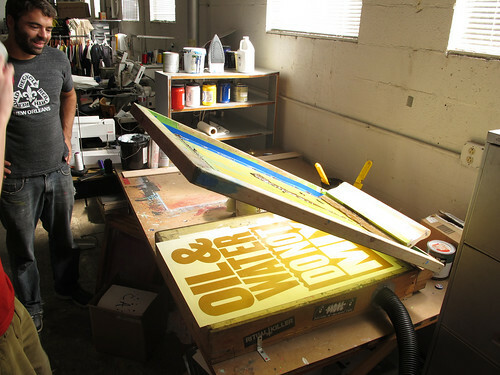 The 200 signed posters are to be sold online at GulfOfMexico2010.com. All profits will go towards funding the work of the Coalition to Restore Coastal Louisiana in the Gulf, a voluntary organisation (est. 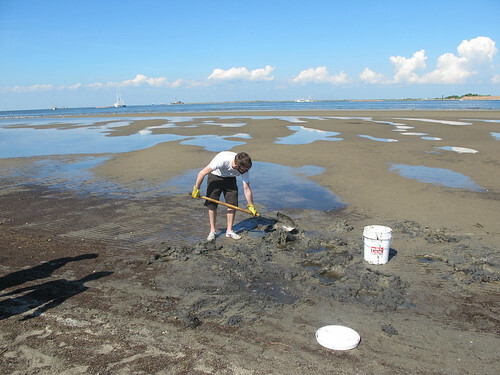 1988) set up to restore and protect the coast and wetlands of the Louisiana regions in the Gulf of Mexico. For further information please visit www.crcl.org. 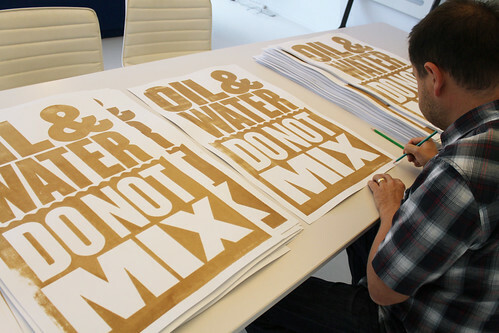 Read ‘Over the rainbow’, our profile of Anthony Burrill in Eye 75 (below). 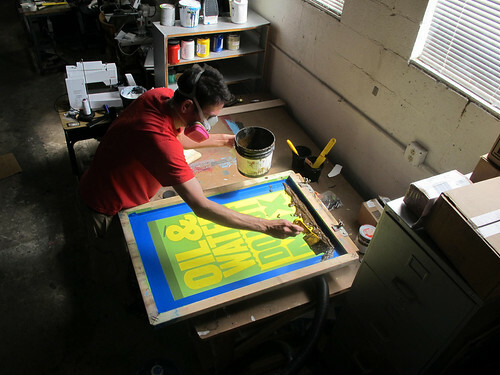 Burrill’s own website is anthonyburrill.com. 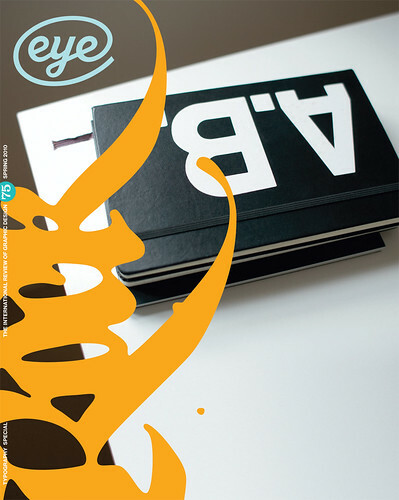 Eye magazine is available from all good design bookshops and at the online Eye shop, where you can order subscriptions, single issues, back issues and Classic collections – four themed back issues at a bargain price. The Autumn issue, Eye 77, is on its way to subscribers and bookstores right now. For regular updates, please sign up for the editor’s newsletter.